I am actually reading the books out-of-order but each is its own jigsaw piece that makes up the final picture. So before I begin, these are stories of fantasy, mystical adventures and horror of the very darkest kind. They are bloody, torturous and have vivid scenes of people being disembodied and at times others raped but wound into it all is a core of good that is battling to gain ground be it by using some pretty vicious and mostly enjoyable methods for themselves. So welcome to Chaste after it has been deserted by its God and its keepers murdered. As the story begins the fool hardy on the edge of Chaste soon come up against a malevolent evil power that thrives on the pain of others and control to make even the purest souls do its bidding. This is pretty gruesome stuff that will either make you stop reading here or bind you to every chapter that follows. I was definitely a stayer I wanted to find out more about some of the characters from the other book I had read especially Sob, who just grew on me with every page I turned. 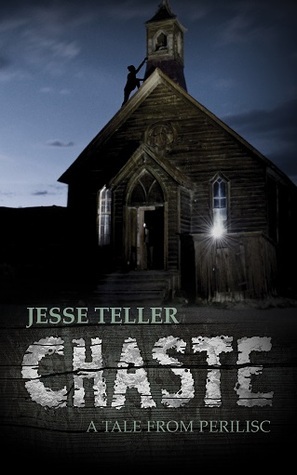 Chaste is a place where evil enters people to carry out vile and terrible acts for no reason expect it just simply can. Even the tight group of unlikely saviours at times lose their way. In this book I got to know Cheryl. Each book builds up certain characters, giving them more substance as to why they are as they are and the reasons for their own personal battles. absolutely loved the finale and already got another book in the series.